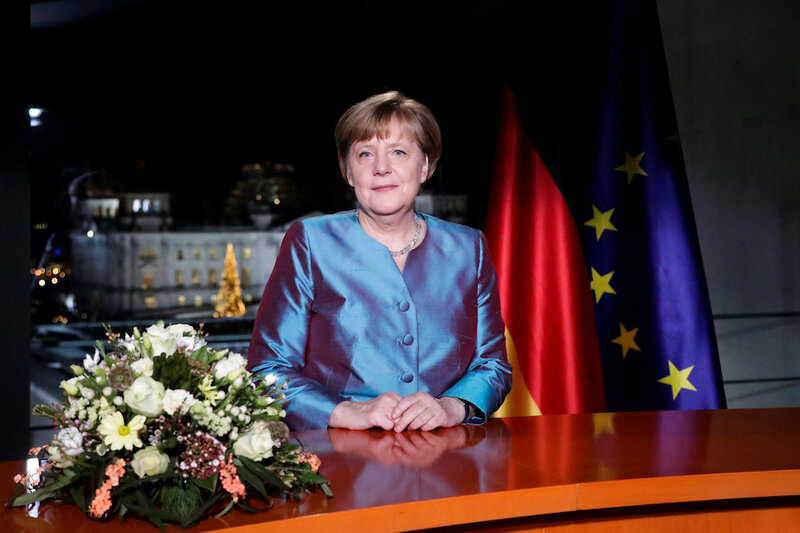 BERLIN (Reuters) – Islamist terrorism is the biggest test facing Germany, Chancellor Angela Merkel said on Saturday in a New Year’s address to the nation, and she vowed to introduce laws that improve security after a deadly attack before Christmas in Berlin. Describing 2016 as a year that gave many the impression that the world had “turned upside down,” Merkel urged Germans to forsake populism and said Germany had an interest in taking a leading role in addressing the many challenges facing the European Union. “Many attach to 2016 the feeling that the world had turned upside down or that what for long had been held as an achievement is now being questioned. The European Union for example,” Merkel said. “Or equally parliamentary democracy, which allegedly is not caring for the interests of the citizens but is only serving the interests of a few. What a distortion,” she said in a veiled reference to claims by the far-right party Alternative for Germany (AfD) that is stealing votes from her conservatives. Liberals across the Atlantic have hailed Merkel as an anchor of stability and reason in a year that saw the Donald Trump elected as U.S. president, Britain vote to leave the EU and U.S-Russia relations deteriorate to Cold War levels. It was her second allusion to the populist AfD, which wants Germany to leave the EU and shut its borders to asylum seekers, more than one million of whom arrived in the country this year and last. The record number of migrants has hurt Merkel’s popularity and fuelled support for the AfD, which says Islam is incompatible with the German constitution. But her conservatives are still expected to win the general election in nine months. Merkel, who is seeking a fourth term, has made security the main election platform for her Christian Democrats (CDU). In her speech, she said the government would introduce measures to improve security after a failed Tunisian asylum seeker drove a truck into a Christmas market in the capital on Dec. 19, killing 12 people in the name of Islamic State. He was shot dead by Italian police in Milan on Dec. 23 and investigators are trying to determine whether he had accomplices. A YouGov poll conducted after the attack found that 73 percent of Germans were in favour of more resources for the police and 60 percent backed more video surveillance in public spaces.